File Types: PNG,All Files; File Size: 91.88 MB; Tileable: Yes; Layered: Yes; DPI: 300 DPI; Dimensions: 3000 x 3000 px3600 x 3600 px12 x 12 in. - logos or photo overlays, etc. Collection includes. - 5 high quality seamless patterns - PNG high resolution 300 dpi, 12 x12 inches (3600 x 3600 px) If you have any questions please message me, I'm happy to help! 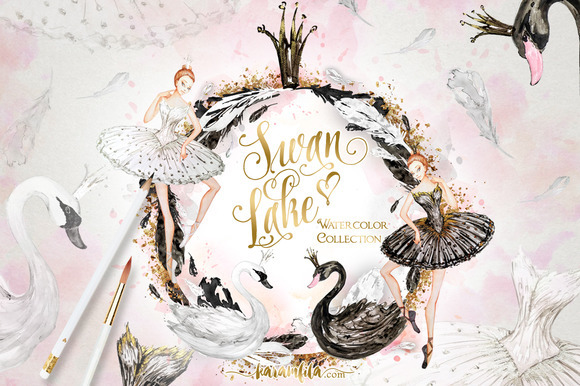 Keywords: watercolor swan, swan clipart, swan clip art, ballerina clipart, ballerina clip art, watercolor ballerina, ballet dancer, ballet clipart, ballet clip art, watercolor birds, feather clipart, fashion clipart, girl patterns, baby girl patterns, black swan, gold glitter, silver glitter, gold silver foil, crowns clipart, odile odette, swan lake, watercolor feather, whatercolor wreath, feather wreath, ballet shoes, ballet dress, ballerina shoes, ballerina dress, black swan dress, ballerina digital paper, ballet patterns, seamless patterns, paper design, fabric design, swan paper, tutu dress, watercolor baby girl patterns.